I saw a robin yesterday! Granted, it was standing on a two foot pile of snow, but still. 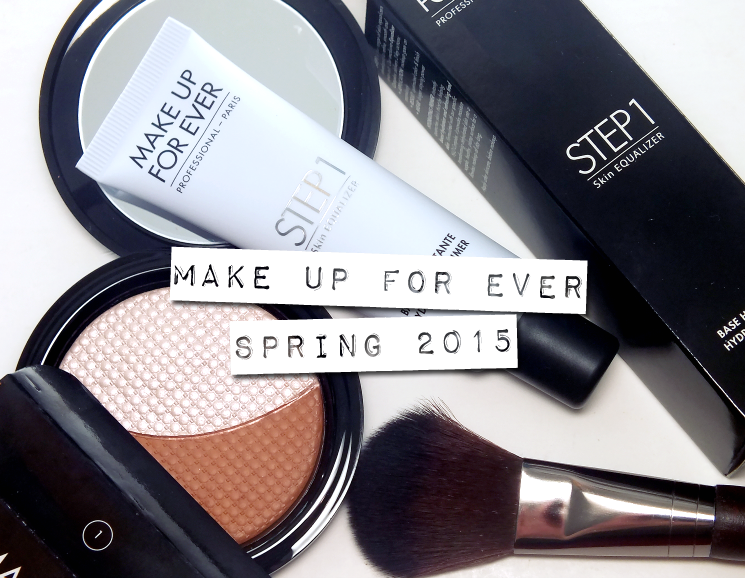 Spring is here and with it are a few new additions to the Make Up For Ever line up. Interested? 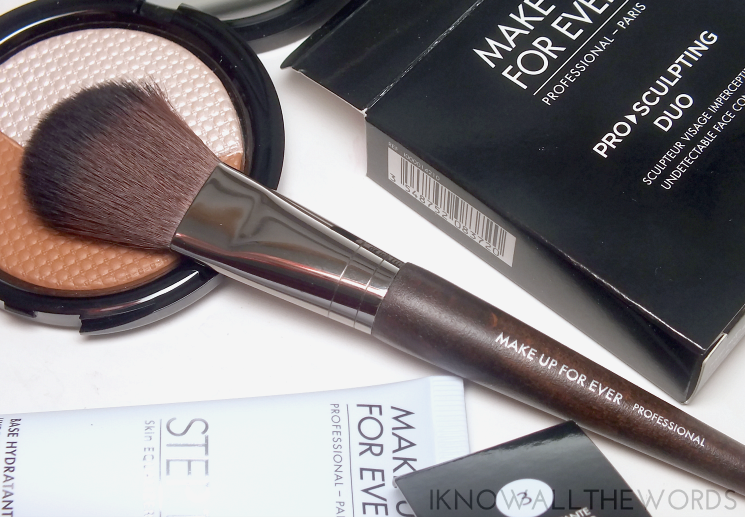 Read on for a look at Make Up For Ever Step 1 Skin Equalizer Hydrating Primer, Sculpting Duo and Large Flat Blush Brush. I'm not a primer devotee, but I do dabble in them from time to time. The thing is, I can't think of any that are truly amazing. I guess that's why I'm always up to trying one more. 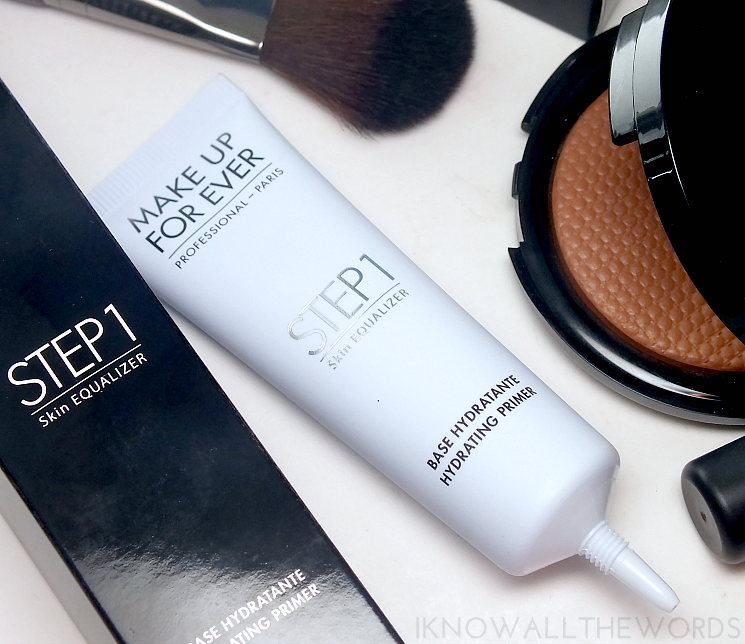 Make Up For Ever Step 1 Skin Equalizer Hydrating Primer is quite different compared to what I think when I think of primer. It has a lighter texture, both in feel and on skin. it's fairly thin, with a light lotion type texture that feels lightly hydrating and is easiy absorbed by skin. The light texture had me fooled- I didn't expect this to feel like a primer on my skin- but it does smooth skin and leave it prepped for makeup, while adding that extra dose of hydration throughout the day. The Step 1 range has two categories- one for texture and one for tone. The texture range includes Mattifying, Smoothing, Hydrating, Nourishing, Redness primers while the tone range includes five shades designed to add radiance to corresponding skin tones. I quite like that you can bundle up (aka layer two primers) the primers to get a fully customized primer. 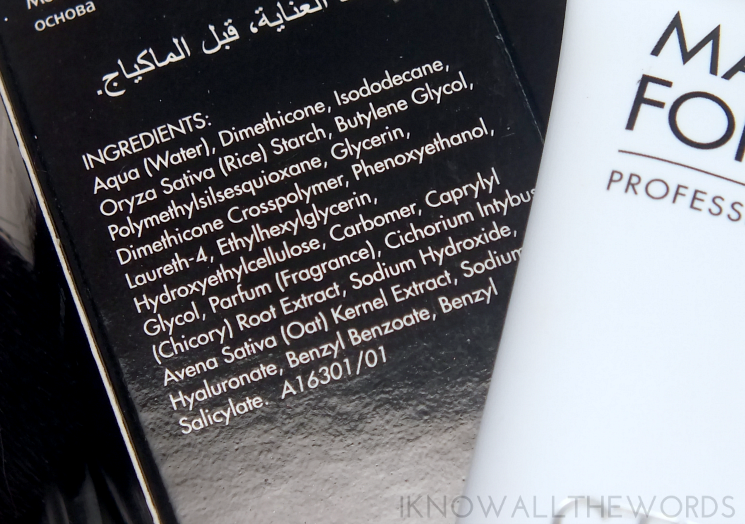 Should you be pale and have dry skin (like me) you could layer the Hydrating Primer with the Radiant Blue. Neat, right? Everyone has gone contour crazy... You? I'll dabble with a little bit of something on the hollows of my cheeks and temples and love a bit of highlighter, but don't go much further than that. Make Up For Ever Pro Sculpting Duo is designed for anyone looking to add a bit of definition and glow to their face. The powders- a highlight shade and a bronzer/contour shade- feature MUFE's gel powder formula, which makes them silky smooth and incredibly easy to blend out for a seamkess finish. 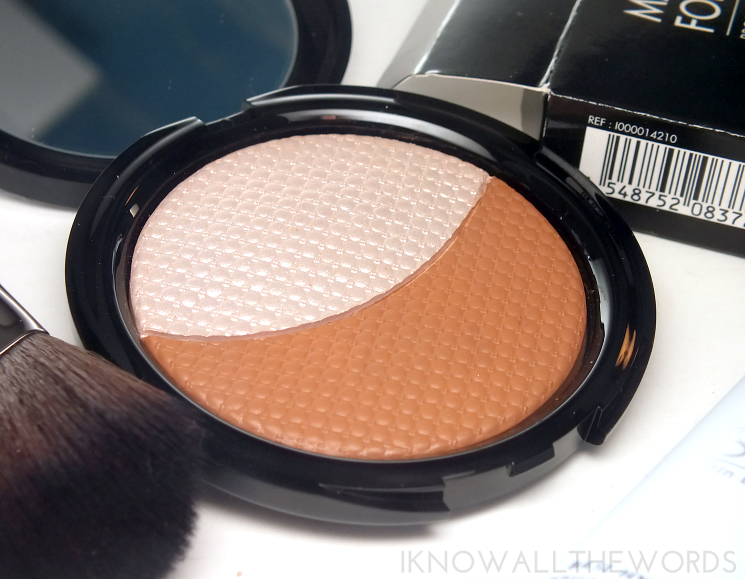 I have the lighter shade duo, 01, which is a light, golden-pink highlight and a warm, orange-brown contour. 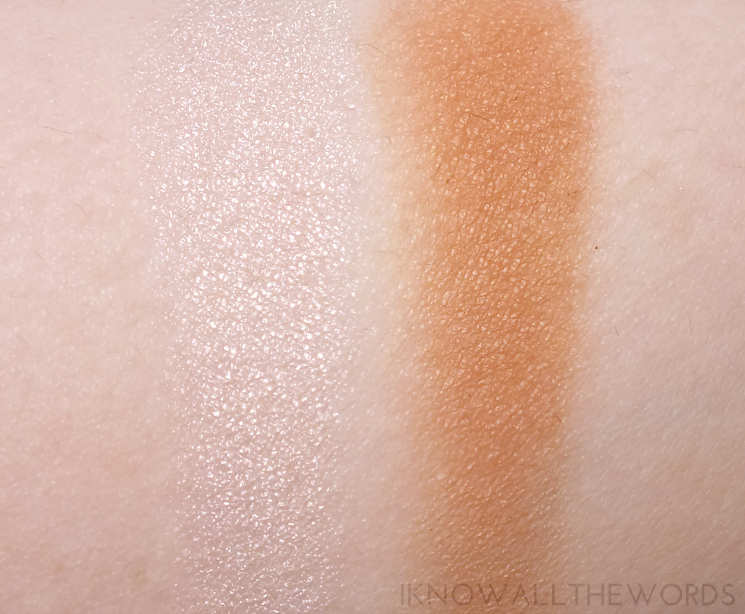 I really didn't think the contour shade would work for me, as its quite warm and does read quite orange when swatched. While it's not a perfect shade for me, I can use t with a light hand. It does work better as a bronzer than contour for my skin tone though. The real winner of this duo is the highlight shade, as it gives skin the most gorgeous, ethereal glow. It isn't shimmery in the typical sense, but imparts skin with radiance that catches light beautifully. For application, I've been using Make Up For Ever 156 Large flat Blush Brush. Had I not received this, I don't think it would be the shape I'd go for for use with blush (or contour) but it's a great brush for applying product to cheeks. I love that I can use the flatter edge for larger areas and the upper edge for applying highlight- all with the same brush! A small victory, but sometimes finding a second brush is just too much effort. The brush has super soft, loose, wavy bristles that deliver a light amount of product, which I find especially helpful for use with contour as I'd rather have to add more then try and blend away excess. Overall, some great products! I am a bit disappointed with the contour shade in the Sculpting Duo. A cooler shade would have been much appreciated in the lighter option. That said, I do LOVE the highlight shade. Have you tried any of these products? Are you into the whole contouring craze?